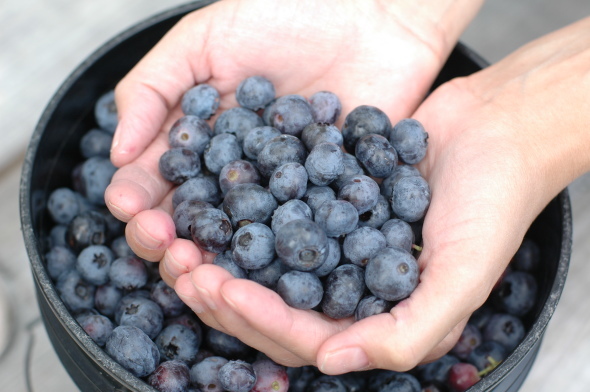 I’m sharing a few photos today from our recent trip to Woodall Blueberries. Six adults and two children packed into our van (maximum occupancy), and drove the winding route through the Blue Ridge mountains on Highway 42. Beautiful scenery and weather that changed from cloudy to sunny and breezy made my first blueberry picking experience very enjoyable. Altogether we picked five gallons. I shared blueberries with three of our neighbors, put some in the freezer to enjoy later, and made blueberry pancakes. I just might have to go again next year!